Pomegranate was once considered a forbidden fruit, but there’s nothing forbidden about this California Dreamin' Pomegranate drink. 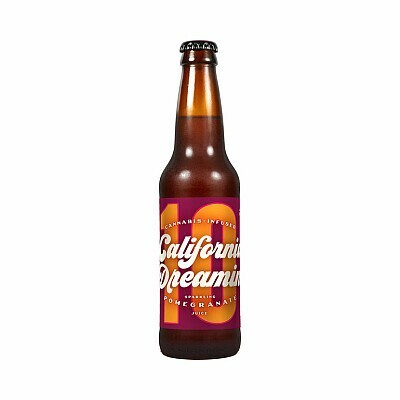 California Dreamin' offers its THC-infused beverages in a variety of flavors. Each 11.2-ounce bottle contains 10 mg of THC for mild enhancement of your social activities. California Dreamin' starts with premium cannabis tincture and blends it with natural, delicious ingredients to result in a refreshing beverage with only four ingredients: fruit juice, water, THC and carbonation.